Seattle International Film Festival continues at Capitol Hill movie houses Egyptian and Harvard Exit. Be kind to our visiting festival badge-wearers as they stumble about. Point their squinting eyes in the direction of decent sustenance. Downhill, the free Northwest Folklife Festival takes over the Seattle Center for it’s 42nd year (!) Friday through Monday. Have something people should know about? Add it to our community calendar. Economics and society: three talks at Town Hall bring these esoterics to the level of real life. Money, Monetary Policy and Financial Repression, with Steve Keen and Gerard Fitzpatrick (11:30 – 1p); The Great Financial Crisis: How we Got Here and the Way Out with Steve Keen (6 – 7:30p); and Reclaiming Prosperity: Inequality and the Future of Work with panel discussion by leaders in the topic (7:30 – 9p). Town Hall. Seattle PD East Precinct Advisory Council: This month’s topic is Micro-Housing: Capitol Hill and Beyond. PAC meetings are open and welcoming to all community members. Seattle University Chardin Building, 1020 E Jefferson St, 6:30 – 8p. Art show: One-night-only exhibit of “Painted in the Dark” featuring work by Liana Kegley. Hard L (1216 10th Ave, Suite L), 6 – 9p. Author reading: acclaimed Spanish-language writer and queer activist Luis Negrón, reads from his debut collection of stories, Mundo Cruel (Seven Stories). Elliott Bay Book Company, 7p. Slaying the Gorgon: a multimedia presentation and discussion by Joe McHugh on “how the mediums of storytelling share how we think and act.” Northwest Film Forum, 7p. Join Fresh Ground Stories: First Love to hear storytellers’ tales of their first passion. Roy Street Coffee (700 Broadway), 7 – 8:30p. Rediscovering the Awesomeness of Dinosaurs! 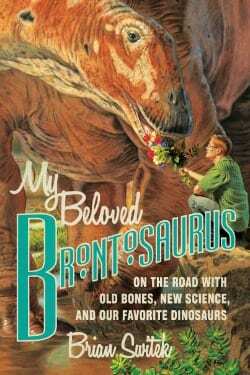 Author Brian Switek (My Beloved Brontosaurus) will convince you dinosaurs are still cool. Town Hall, 7:30 – 9p. 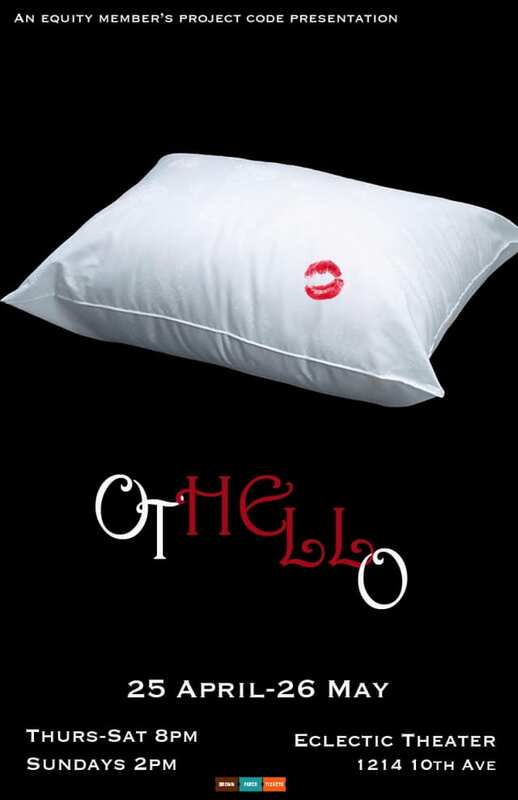 Othello, Shakespeare’s classic tragedy of love and revenge, ends it’s run through Sunday at Eclectic Theater (1214 10th Ave), 8p and 2p matinee on Sunday. Open Mic Night at Scratch Deli (1718 12th Ave) happens every Thursday, 8p. .Trigger. New Dance Happenings. We caught the first edition of this new “dance performance quarterly” and enjoyed the experimental dance and music. Vermillion, 9p. Author reading: Marivi Soliven reads from her debut novel The Mango Bride featuring a backdrop of Phillipine life at home and in America. Elliott Bay Book Company, 7p. Movie remix – Running Man: DJs Jon Francois and Nik Gilmore remix this quirky feature film with vinyl records, live! 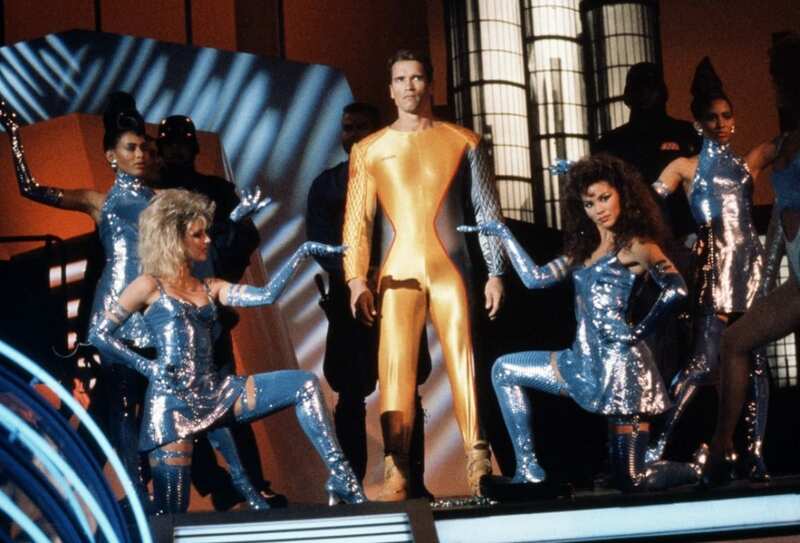 Feast your eyes on Arnold in his hot gold bodysuit as the DJs replace almost the entire soundtrack (including music, sound effects and dialogue). Northwest Film Forum, 8p. New feature film Greetings from Tim Buckley opens and continues through Thursday. Northwest Film Forum, 7p and 9p. Capitol Hill Soccer Jam: register your team as late as Friday May 24th to play round robin tournament style of 4-on-4, 20-minute games. Free to and open to the public to watch. University Park on Seattle U campus 12th and Cherry. Event starts at 10a. Children’s Storytime: meet at the castle in Elliott Bay Book Company, 11a. Revolutionary Optimists, a film about young people improving life in Calcutta, screens at Frye Art Museum, 2p. Author reading: Class A: Baseball in the Middle of Everywhere follows the hits and misses of Class A baseball as observed by highly regarded journalist Lucas Mann. Elliott Bay Book Company, 4p. Broadway Farmers Market at Seattle Central Community College, 11a – 3p. 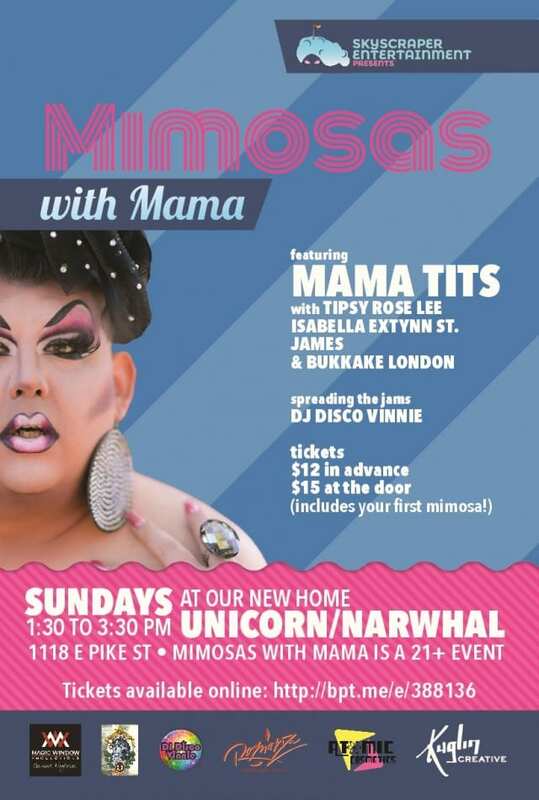 Mimosas with Mama pops the cherry of the Narwahl as a drag brunch destination starting this Sunday. This pairing is sheer genius. Unicorn (1118 E Pike St), 1:30 – 3:30p. Film Production Club meetup is looking for individuals interested in film production and aims to bring together a variety of different people to create a group that ultimately wants to have fun creating film projects together. Capitol Hill Branch Library (425 Harvard) , 3 – 4p. Lake View Cemetery hosts the annual Nisei Veterans Committee Memorial Day Service. This entry was posted in Community, News, etc. and tagged on the list by Jeanine Anderson. Bookmark the permalink. Jeanine is a CHS contributor. What a great month with two days that are May 26! Oh, and a free burger is a free burger, but Woody’s is definitely not on Capitol Hill.